Typically, you travel through Venice’s canals in vaporetto or a gondola. The streets at a leisurely pace, enjoying the architecture of the palaces, bridges and monuments or alternatively you can do it running. 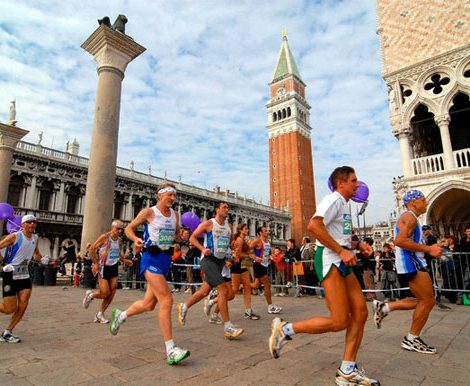 This last option is preferred by the thousands of participants in the Venice Marathon, which will celebrate its 28th edition Sunday the 27th of October, 2013.